Hello again! I’ve finally gotten round to writing up another blog post for you all so I hope you enjoy! We recently attended a wedding for the first time in what felt like forever so we tried to document our outfits and jewellery and everything we could! 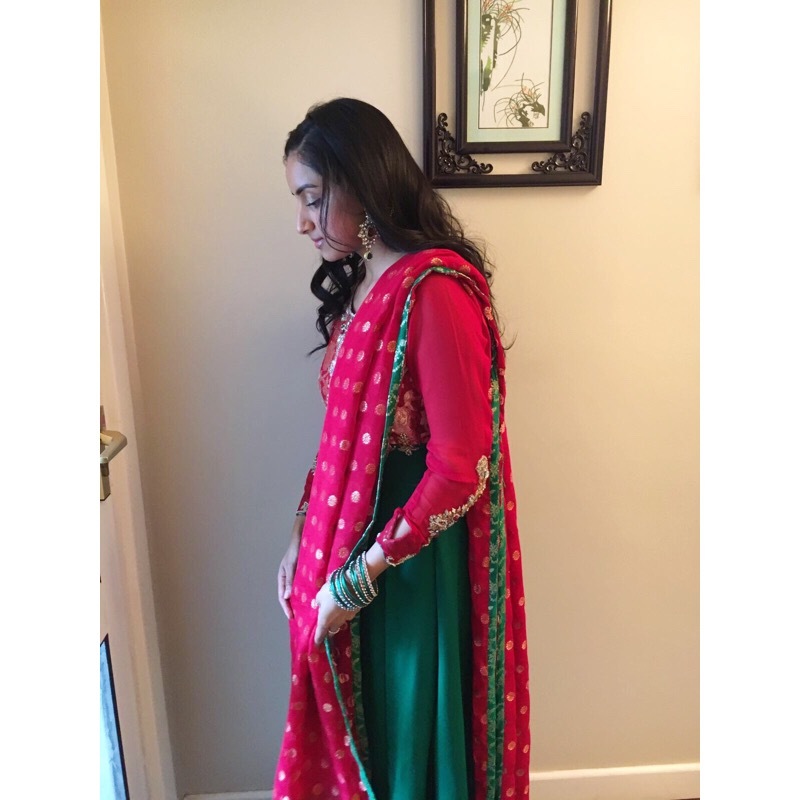 Today’s post is one of two of the outfits I wore to the wedding events. 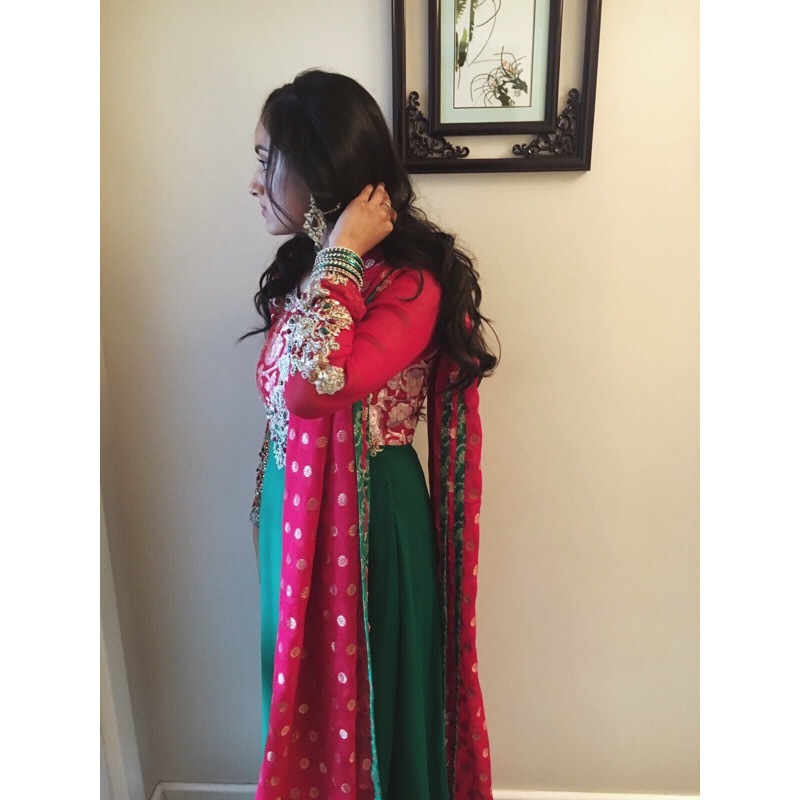 This is the outfit I wore to the mehndi, it was such a lovely event and this is my fave outfit of ALL. 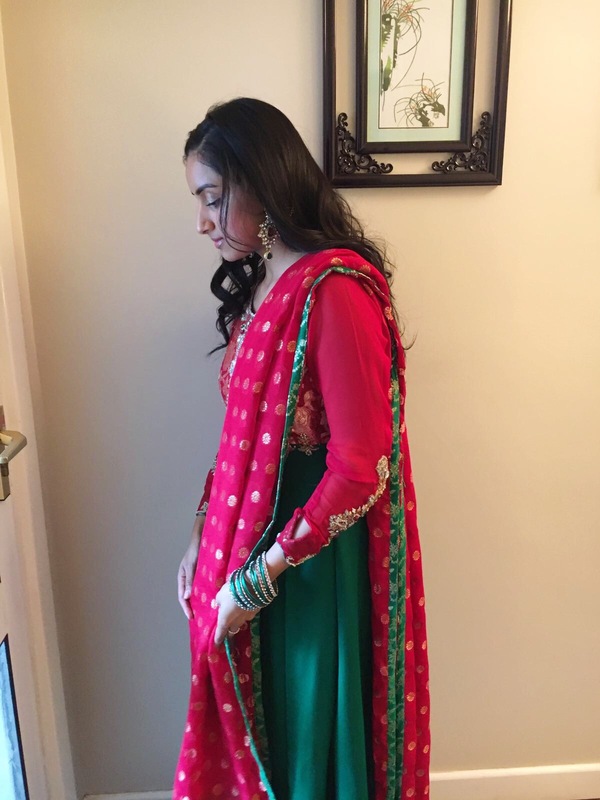 I was working that day and the mehndi was in the evening, so I didn’t really have a long time to get myself ready before we headed off. I decided to wave my hair using my babyliss curlers, honestly they are perfect! My hair is thick and extremely weighty, but these curlers are the only thing which last in my hair! I decided to do a quick dutch braid at the front of my hair to keep my hair out of my face (which my mum appreciated A LOT – is it only my mum who loves when my sisters and my hair is out of our faces so she can see our ‘pretty’ face?). I hate wearing heels so I managed to get away with some gold flats and my jewellery was extremely minimal. 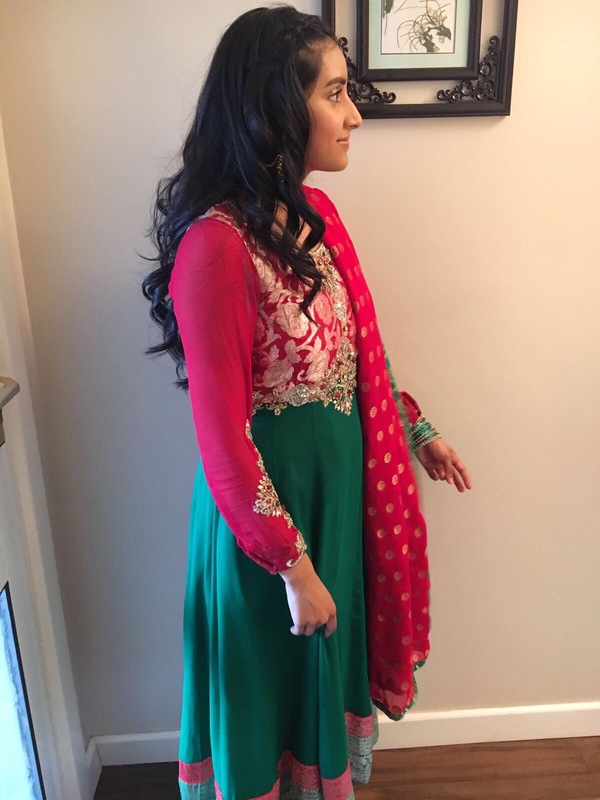 As I wore this outfit on my brother’s mehndi night, I had jewellery which matched perfectly so just re-wore them! I don’t pride myself in applying eyeshadow at all, but I have to say i’ve mastered the gold smokey eye which I wear at almost every wedding function so decided I could get away with it on this night too! 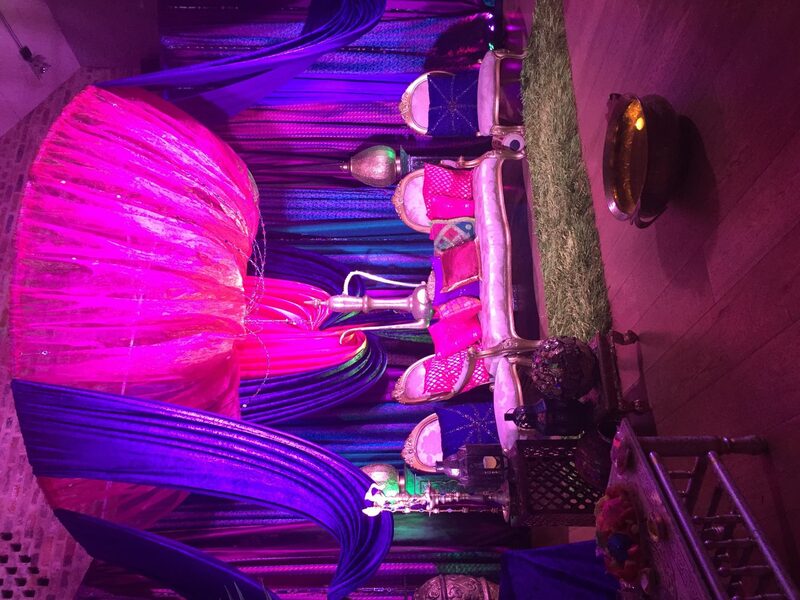 Overall, I loved the way it looked and the event itself was a nice evening out with family! P.S. Wedding outfit post coming soon!